Posted on July 12, 2017 at 6:36 am. Telangana becomes the third state in India to issue ordinance specifically against online gambling after the Telangana Cabinet officially banned all games of skill over the weekend. The local government amended the Telangana State Gaming (Amendment) Ordinance 2017, which was originally issued earlier this year to include a new definition of ‘cyber space’ and make betting and gambling online illegal, as previously reported and speculated by local media outlets. Previously, no state in India considered skill-based games such as poker or rummy as gambling, as Andhra Pradesh Gaming Act 1974 exempted games of skill (and other games like horse racing and the state-run lottery) from being classified as such. This means online poker, rummy, matka and sports betting is now illegal in Telangana. A fine of Rs. 5000 for the first offence was cited in previous reports, and double the fine plus jail time for a second offence. 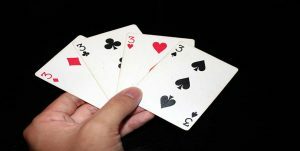 The news follows several high-profile cases against online websites offering online poker and rummy. In November 2016, Telanganan police filed a case against the online rummy website Ace2Three for allegedly cheating players with compromised gaming software. The new ordinance also comes at the same time India’s Supreme Court debates whether sports betting has a high enough level of skill involved to be exempted from the Public Gaming Act of 1867, which affects all of India and not just the state of Telangana.